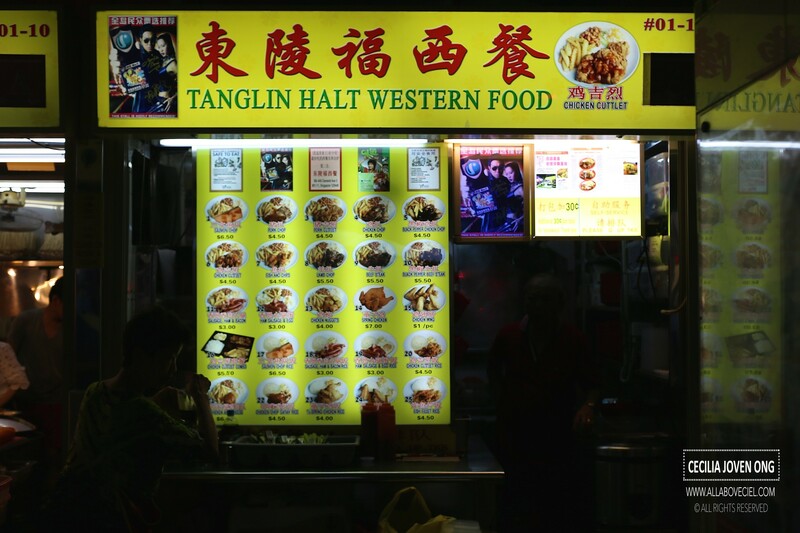 This western food stall is operated by Mr Ng and his wife and it has been around for close to 40 years. This is supposedly one of the famous stalls in this food centre that always have a queue. I took away once and it tasted alright even when i gotten home after slightly more than a hour later. It was raining very heavily when i happened to be there this afternoon and even though i just had lunch but i still decided to try it. There was another 3 customers right in front of me at that time. 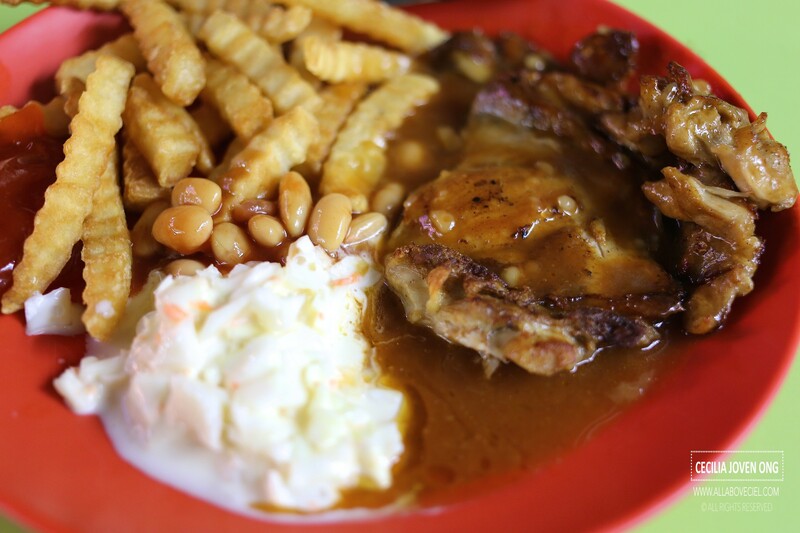 I wanted to try Chicken Chop ($4.50) and Chicken Cutlet ($4.50). I was a bit surprised when i was told that it is 'self-service' and i am supposed to wait there to collect it. The wait was shorter than expected, it was just slightly more than 5 minutes when both were ready. The presentation was not an appealing one, in fact, it looked quite messy. Somehow, it reminded me of those food that served in those cook houses in those army camps. It was a definite disappointment when i had my first bite. The brown sauce was a bit too sourish, like they added too much tomato sauce in it. 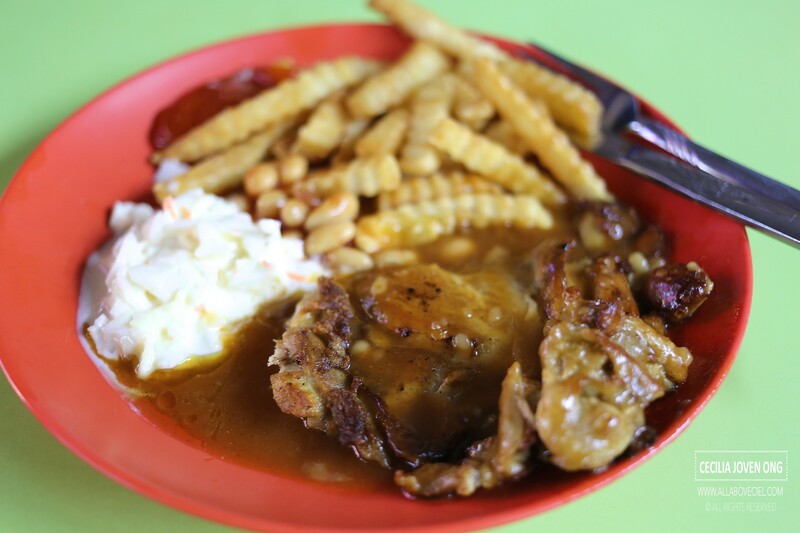 The chicken itself tasted quite bland, not much taste at all and i suspected they did not even marinate those chicken pieces before they grilled it. Though it look charred on the surface but it did not have much flavor. The pool of unsalted fries tasted just normal but the coleslaw was good though. The nicest of them all. 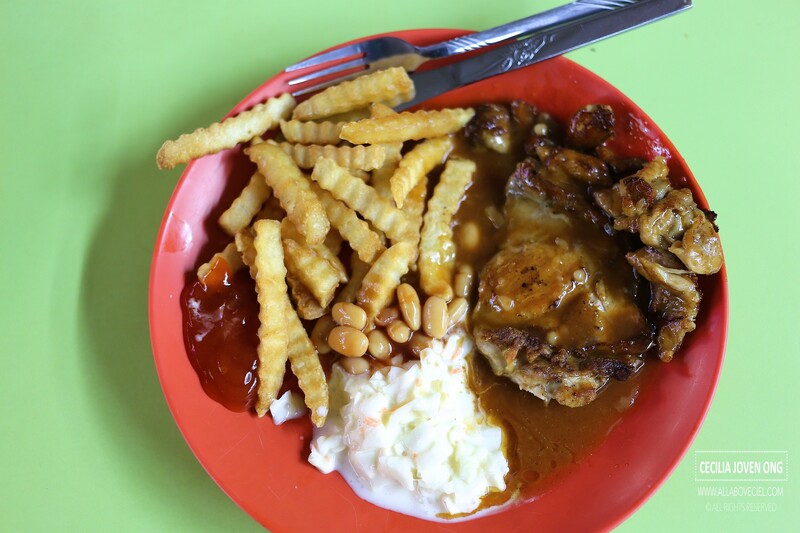 If the Chicken Chop was bad then the Chicken Cutlet fared much worst than that. It was not a whole piece but they cut it up into few pieces and deep-fried it. That somehow explained why the cooking time was a short one perhaps they do not want to jam up the queue. It was served with the same brown sauce over it. 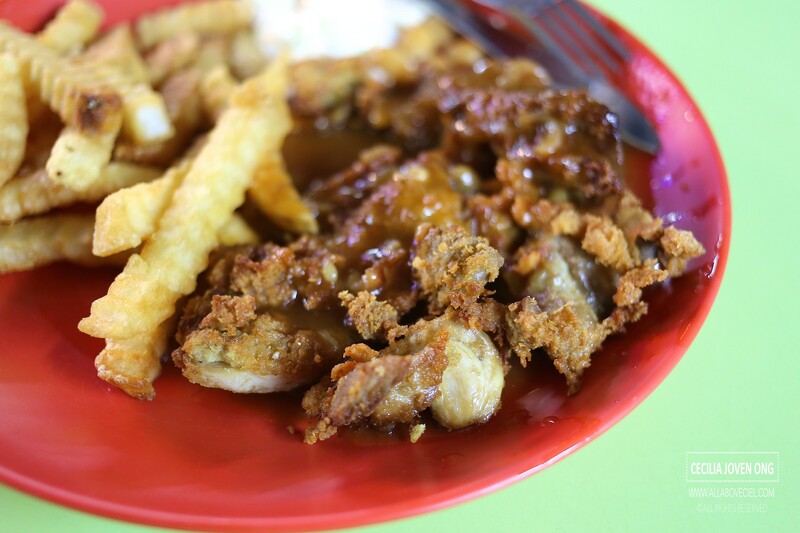 By deep-fried the Chicken Cutlet in smaller pieces, it would definitely compromised on its texture. The meat was in dark color and that is a good indication that they have overcooked the meat. As expected, it tasted quite tough and bland too. Maybe they used to be good but their standard has certainly dropped. Their prices might be one of the cheaper around but it also happened to be one of the worst western food that i have ever eaten.